This challenging puzzle is a fun way to practice contractions and is very easy to prepare. 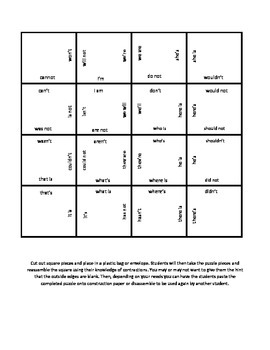 Simply give your students the puzzle pieces already cut up and challenge them to match up the contractions to create a square. Use this a center activity or even as a quick assessment.